Applications are invited from suitably qualified candidates for five full-time four year doctoral research fellowships in the area of Youth Mental Health. These posts are designed to support doctoral research trainees from either a clinical/health related background or a social/behavioural sciences background to undertake a four-year structured PhD in the area of youth mental health. These training positions will be provided by the newly established HRB funded YOULEAD consortium, and will be based at either NUI Galway, UCD, or RCSI. Funding to cover PhD fees and research/travel expenses will also be provided. Early Adversity and Later outcomes (based at RCSI, supervised by Prof. Mary Cannon & Prof. David Cotter; Email marycannon@rcsi.ie or drcotter@rcsi.ie ). This project will focus on the analysis of large (already collected) national and international epidemiological datasets. Understanding Barriers to Treatment (based at UCD, supervised by Prof. Eilis Hennesey & Dr. Caroline Heary; Email: Eilis.hennessy@ucd.ie or caroline.heary@nuigalway.ie ). This project will focus on the attitudes and experiences of families’ in seeking access to mental health services for young people. 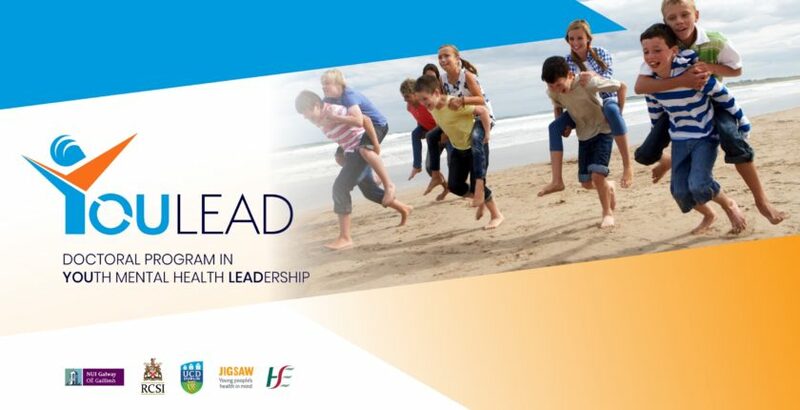 Improving youth participation in mental health service development & delivery (based at NUI Galway, supervised by Dr. Padraig MacNeela; Email Padraig.macneela@nuigalway.ie ). This project will develop and implement a participatory model for engaging young people in the planning and delivery of youth mental health services. Evaluating community based interventions for youth mental health (based at UCD, supervised by Prof. Barbara Dooley, & Dr. Ailen O’Reilly; Email Barbara.dooley@ucd.ie). This project will focus on evaluating community based mental health interventions delivered through JIGSAW, the national center for youth mental health. Evaluating novel community based and online strategies for youth mental health (based at NUI Galway, supervised by Prof. Gary Donohoe Email: gary.donohoe@nuigalway.ie ). This project will focus on adapting and evaluating novel online cognitive and social interventions for use with young people experiencing psychosis. Potential applicants are encouraged to contact any of the above supervisors, or the program director Dr. Donohoe, email gary.donohoe@nuigalway.ie . Deadline for applications is: Friday May 25th 2018.